Add rice, water, and bay leaf to medium saucepan. Bring to a boil. Remove from heat and let sit, covered, for 5 minutes. 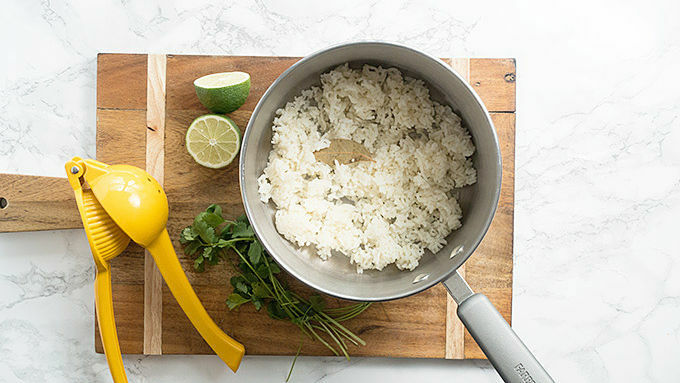 Remove bay leaf from rice and discard. Stir in cilantro, lime juice, olive oil, and salt. There is one question that I ask my people daily. “Who wants to go get a burrito?” That’s the question. Usually I’m met with a big enthusiastic “yes!” from the whole bunch, because burritos. Who doesn’t love burritos? Every now and then though, I’m reminded that hey. Those burritos cost a fortune and maybe you should try cooking your own food more often. That’s why you have a kitchen, remember? So, I just recreate the Chipotle experience at home, because I still want burritos, even if I’m not eating out. 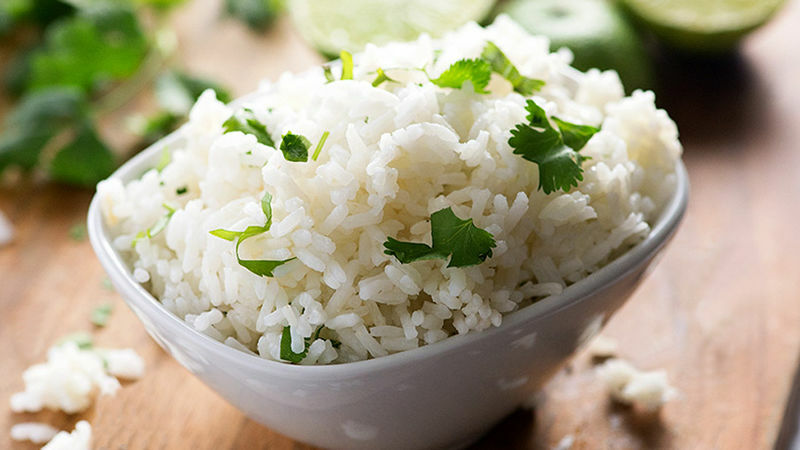 You can’t have Chipotle™ without this Copycat Chipotle™ Cilantro Lime Rice! This stuff is easy to the peasy. 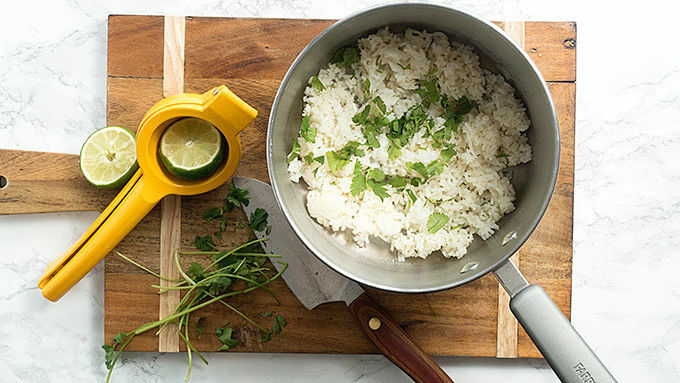 You’ll need rice, cilantro, lime, and a bay leaf. You’re also going to need some water, a bit of salt, and a drizzle of olive oil. This is the perfect base to all your burrito needs. It’s darn good all on its own, too.